The link that brought you to this page and the page title are a bit of a misnomer, because this short report is not long enough to cover so many chapters of the Bible. What the link and the title do, however, is track where we are in our plan to read through the entire Bible in 1 year. May each report pique your interest and help you to draw near to God. The Bible, James 4:8, tells us if we do so God will draw near to us. 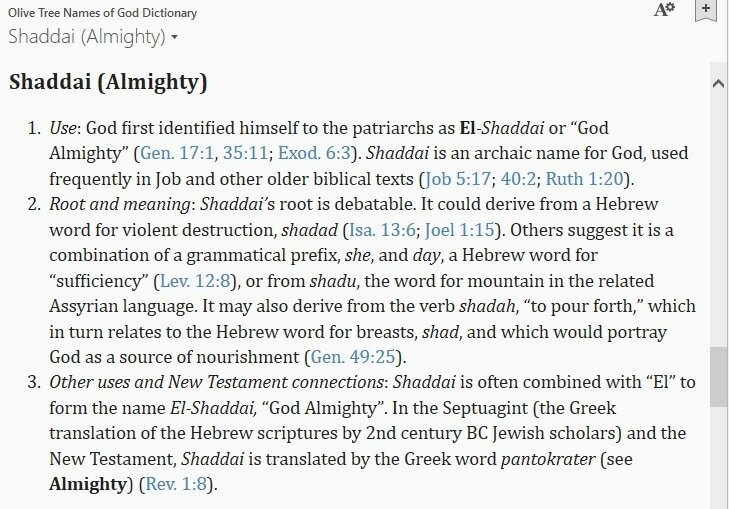 Works cited are at the end of the report and some screenshots, including a side by side screenshot of the Names of God Bible and the English Standard Version follows that. Internal links provide additional information. BIBLE READING—FIRST WEEK—GENESIS 1-24: In its introduction, the Good News Bible states, “Throughout the book the main character is God.” This is true even when we are reading about any of the numerous human characters or the events that take place in their lives. Behind and before every Bible story is God. Good News Bible. American Bible Society, 1976. 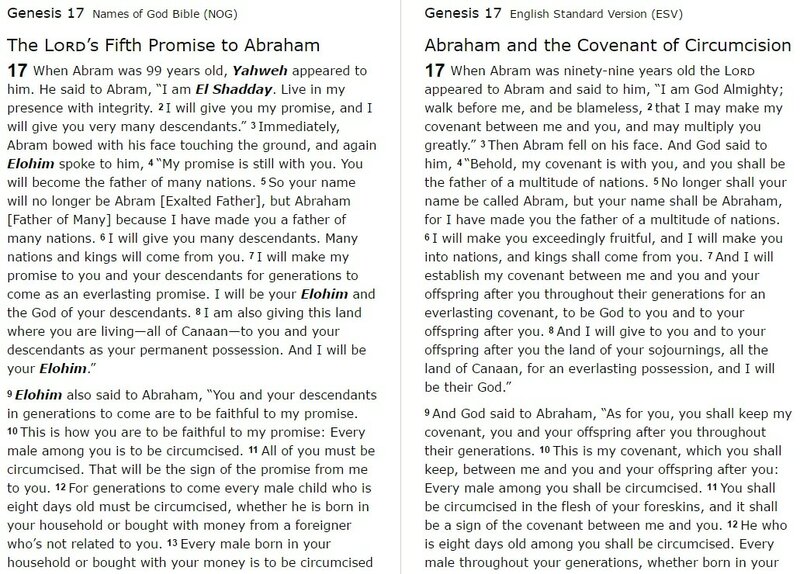 ​Jeske, John, Genesis - People's Bible Commentary. Northwestern Publishing House, 2001. -Note: No longer in print from Concordia Publishing House. ​-Note: Amazon also carries this book. ​Olive Tree Names of God Dictionary. Olive Tree (for the Olive Tree App). O’Brien, Terry, Pastor, "Fifth Sunday in Lent - March 22, 2015 - Hebrews 5:1-10." Saint Paul Lutheran Church. Web. 3 Jan, 2017.